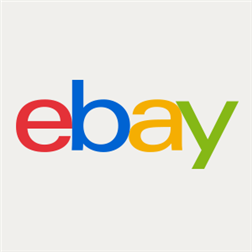 The eBay for Windows Phone app has been updated to version 1.5.0.12 with a brand new design, support for more global markets along with several new features and improvements. The eBay for Windows Phone app gives you an all-access pass to the world’s largest marketplace. Searching made easy! Use our refinement carousel to find the exact item you want, at the price you want. Need more filtering options? A quick swipe from the right side will bring up our complete list of advanced search options. Browse Daily Deals or your personalized eBay feed right from the home screen! Find what you like? Hit the Buy it Now button and make your purchase straight from the app. Want to try an auction instead? Bid with confidence knowing our improved notifications will notify you when you’ve been outbid or an item is ending. Shop globally! You can change your eBay site in Settings, giving you access to eBay markets all over the world. Receive notifications when your purchases have sent, and track with ease. Pin an item as a Live Tile and track its status on your phone’s home screen! Review a seller’s profile and Feedback, allowing you to shop with confidence. List your own items to sell, auction, or both!